Throwing injuries can produce pain, numbness, tingling and reduction in the throwing velocity. When you present with symptoms of a throwing injury, Dr. Patel will review your medical history, discuss your athletic activities and perform a thorough physical examination to examine the strength, range of motion, and stability of your elbow. Imaging tests (X-ray, MRI and CT scans) may be ordered to confirm the diagnosis. Dr. Patel may suggest a conservative approach to treatment such as rest, ice application, physical therapy, anti-inflammatory medications, and a modification of activity and throwing technique. If symptoms remain uncontrolled surgery may be performed to repair the injured tissues either through an open surgery or a less invasive technique (arthroscopy) where a camera and instruments are inserted through a narrow tube. 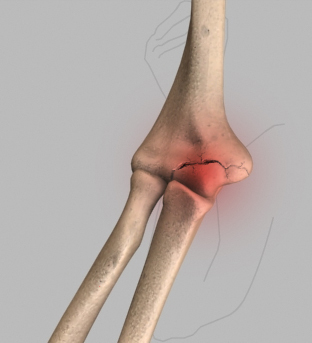 Surgery may be performed to reconstruct the ulnar collateral ligament. Surgery is always a last resort and given the epidemic of increased surgery in young baseball players, Dr. Patel has joined other prominent orthopaedic surgeons in promoting healthy throwing habits and conservative treatment for elbow injuries. Four to six months of rehabilitation is recommended following reconstructive surgery to return to sport. Dr. Patel will discuss when it is safe for you to return to your activities based on the injury and how well you recover.